A quiet family lunch, a few weeks ago, was rather enlivened by my mum’s astonishment at the news that her granddaughter’s part-time jobs in Chile include ‘frog grooming’! It was some time before anyone could stop laughing for long enough to tell her she’s grooming dogs. With more than our share of family members with hearing loss, we have many moments like this despite being exemplary hearing aid users, only my husband bucking the trend and going for the constant excitement of not knowing whether his aids will be found in his ears, pockets or bedside table. It’s all pretty straightforward for me. Since my twenties, I’ve worn two hearing aids, all my waking hours, for hearing loss that has slid gently from mild to moderate (and is still heading south on the audiogram). Take away my aids and I am plunged into near silence, without skills to navigate that. So it’s a no-brainer to give hearing aids to someone like me, right? Well yes, but that’s not the end of it. Many of us will want answers to the questions “will hearing aids help me?” and “do I need one aid or two?”. These are important things to understand and not least because of the cost implications, for the NHS and for the individual who might be considering buying a hearing aid – or should that be two? The first ever rationing of free hearing aids on the NHS came into force in October, a reminder of the importance of seeking evidence to inform decision-making and the allocation of resources. However, things are looking more hopeful for hearing impaired adults in the UK, with NICE, the National Institute for Health and Care Excellence, criticising local policies in some areas where people seeking help for hearing loss are not being given hearing aids, or are offered only one, as it launched a draft guideline on hearing loss in adults, published for consultation last month. 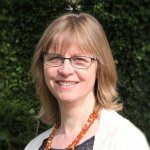 There are now two Cochrane Reviews addressing these questions, gathering and summarising the best available evidence on the impact of hearing aids on hearing-specific and general health-related quality of life in adults with mild to moderate hearing loss, and how one aid compares with two in adults with hearing loss in both ears. So is there evidence to help us make decisions about hearing aids? Do hearing aids benefit adults with mild to moderate hearing loss? The Cochrane Review on this confirms what we’d expect, that hearing aids improve listening ability and both hearing-specific and general health-related quality of life. The review shows a large beneficial effect on listening ability and a small improvement in health-related quality of life, both of which were not demonstrated in previous reviews. 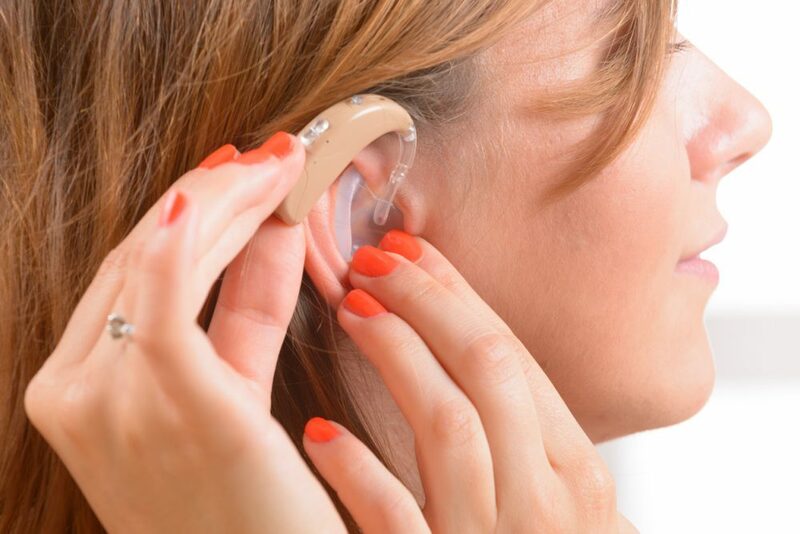 This supports the provision of hearing aids for those seeking help for hearing loss. Researchers still have work to do, to provide higher quality evidence confirming this and to assess the long-term effects of hearing aids. There are other things we need to know too. 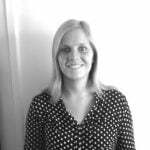 Around 40% of adults with acquired hearing loss don’t wear their aids and, as I’ve blogged here, the Cochrane Review on interventions to encourage people to improve their hearing aid use has shown that we’re not sure how best to help them. When the James Lind Alliance Priority Setting Partnership worked with people with experience of mild to moderate hearing loss to establish the top ten questions for researchers to address, eight were about hearing aids. The good news is that these priority questions should influence the research agenda. Hearing aids improve listening ability and quality of life. In most people, ‘age-related’ hearing is sensorineural (due to the loss of cochlear hair cells) and affects both ears. They may be offered one or two hearing aids, but which is best? Do two aids offer benefits that justify paying twice as much? A new Cochrane Review, published today, explores this. Disappointingly, there were only four small studies, with a total of 209 people with bilateral hearing loss (that is, in both ears), and the evidence is of very low quality. There was a lot of variation in the types and degree of hearing loss, and three of the four studies were published more than twenty years ago, so pre-date the kind of hearing aid technology that is available today in high income settings like the UK. The only outcome reported in all studies was people’s preference for one aid or two. This varied between studies and the results couldn’t be combined. The upshot? We don’t know if people prefer one or two hearing aids, or what difference having one or two might make to any other outcome, like quality of life. This new Cochrane review reveals an absence of robust evidence to inform decisions about wearing one hearing aid or two. But decisions have to be made, and NICE, the National Institute for Health and Care Excellence, has made recommendations based on the Cochrane Review ‘Hearing aids for mild to moderate hearing loss in adults’, alongside other types of evidence and expert opinion. They recommend that hearing aids should be offered to adults whose hearing loss affects their ability to communicate and that two hearing aids should be offered to those with hearing loss in both ears. I, for one, am grateful for this and welcome the call to end the rationing of hearing aid provision in the UK. Hearing aids are a vital resource that enable me, and many like me, to live well with hearing loss and maximize my ability to communicate and to participate in everyday activities. Clearly researchers have much work to do, to provide reliable evidence to answer important questions and guide choices. Other people, too, can make such a difference. If you want to know the six words that were a revelation to me after three decades with hearing loss, and what can go wrong in clinical encounters when hearing loss isn’t accommodated, you can read about that here. Join in the conversation on Twitter with @SarahChapman30 @CochraneUK @CochraneENT @martinjburton #eehealthchoices or leave a comment here.